One of London's most historic buildings. Interactive handheld guide available in English, French, German, Italian and Spanish. 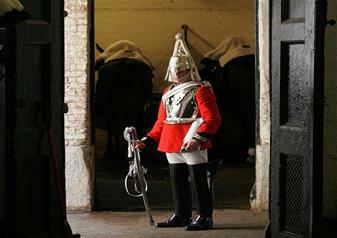 The Household Cavalry Museum is actually about real people doing a real job in a real place. Through a large glazed partition you will see the horses in real working stables and at certain times real troopers tending to them. 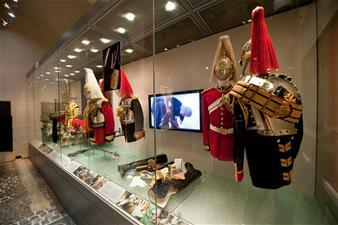 Several AV and touch screen presentations will give you a vivid insight into all aspects of the Household Cavalry and visitors to the museum can even try on parts of the uniform! 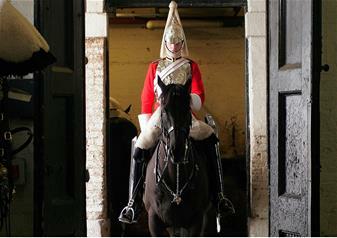 Historic setting: The Household Cavalry Museum is situated within Horse Guards in Whitehall, one of the London's most historic buildings that dates all the way back to 1750. 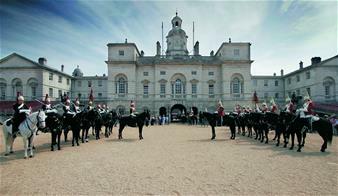 Horse Guards is still the headquarters of the Household Division, in which the Household Cavalry has performed the Queen's Life Guard in a daily ceremony for over 350 years that has remained broadly unchanged. 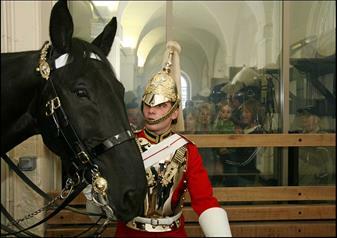 The Household Cavalry: Formed in 1661 under the direct order of King Charles II and now consisting of the two senior regiments of the British Army – The Life Guards and the Blues and Royals. 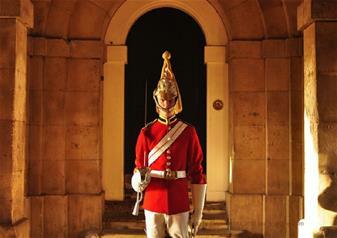 Daily Ceremony: The Changing of the Queen's Life Guard takes place daily on Horse Guards Parade at 11am. The daily inspection takes place at 4pm.